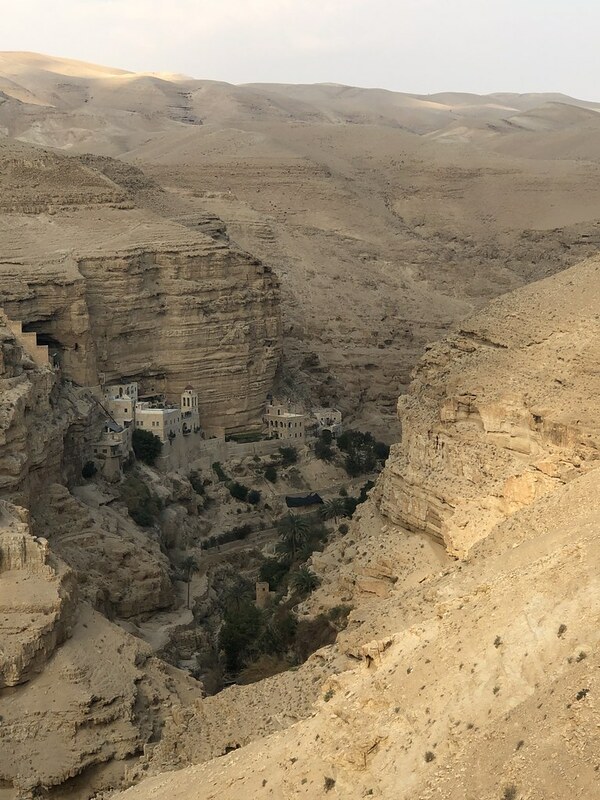 Bishop John Wilson reflects on the visit to Ramallah and the encounter with Palestinian Christians, the visit to the Judean Desert, the renewal of Baptismal vows at the Jordan and the visit to the Dead Sea. 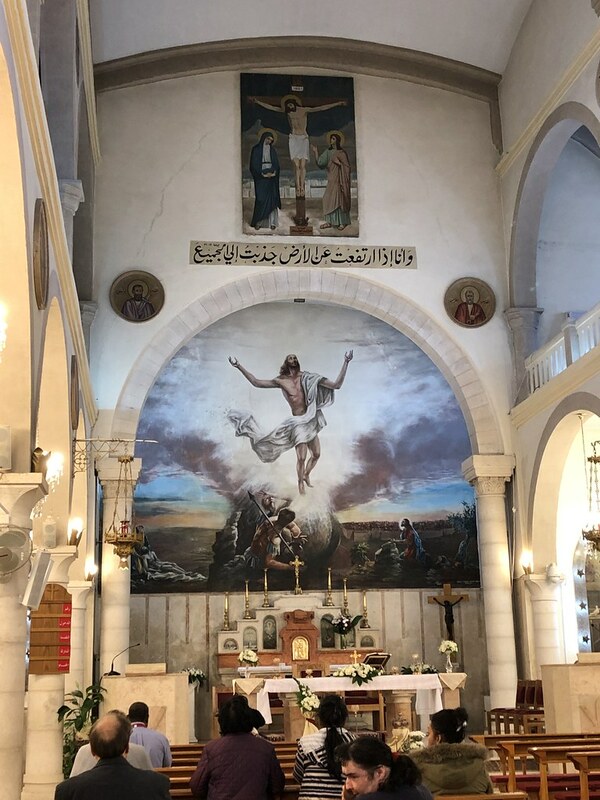 On Day 4 of our pilgrimage, the Solemnity of Christ the King, we set off early to travel from Bethlehem to join a parish in Ramallah for Sunday Mass. 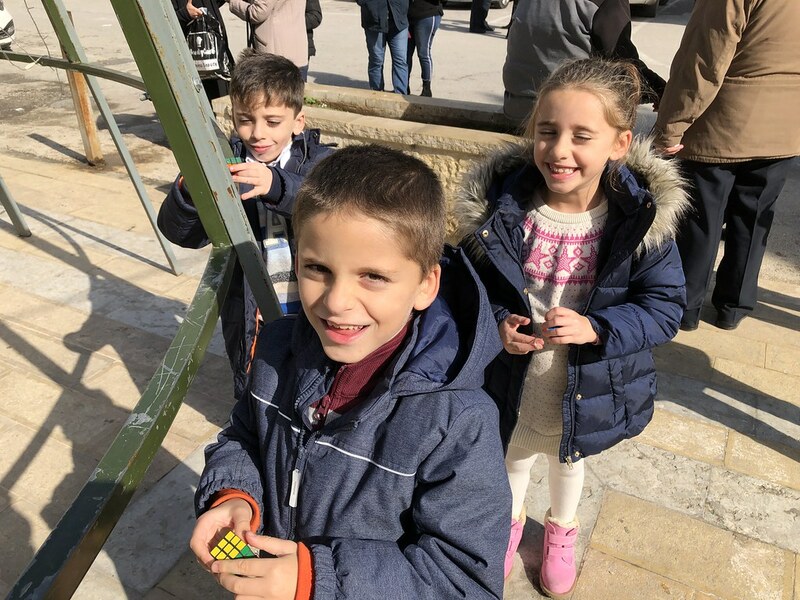 Passing though Israeli and Palestinian checkpoints brought home the reality of life in the Holy Land. We were welcomed by Fr Akram, the assistant priest, and the people of the Parish of the Holy Family. It was a beautifully joyful celebration as we were able to meet our Christian brothers and sisters and assure them of our spiritual solidarity and prayers. We pray that our world and this Holy Land will bear the fruit of Christ’s Kingdom of love, justice and peace. We moved on the Judean Desert, the place where Jesus was tested and tempted for forty days and forty nights. The enormous expanse of barren wilderness is breathtaking. We were reminded that, even when we face our own trials and temptations, God’s word and promise give us strength and hope. 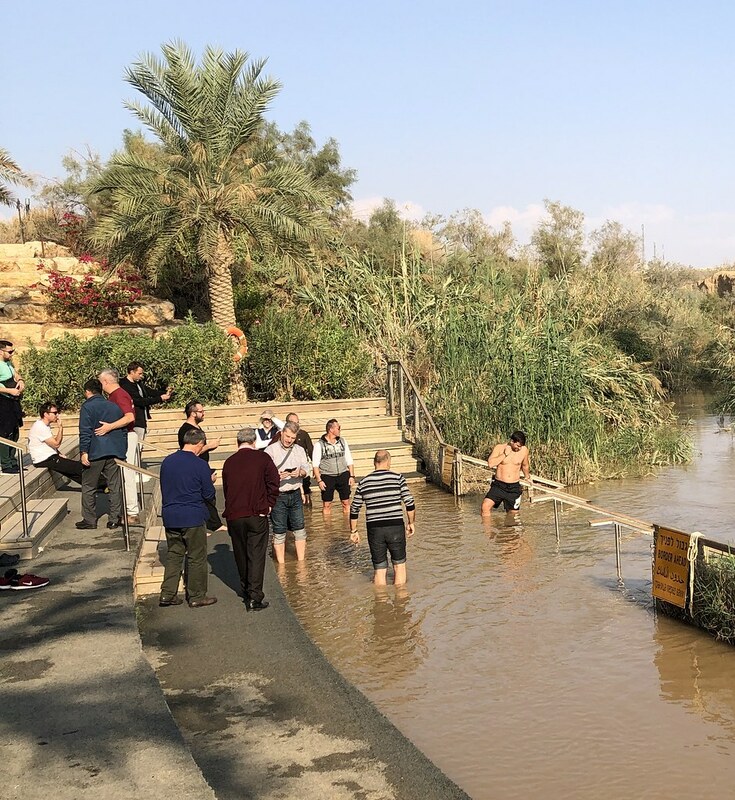 Then to the River Jordan and to the site of Jesus’ Baptism. There we renewed our baptismal promises, affirming our dignity as sons and daughters of God in Christ. We were sprinkled with water from the Jordan, recalling our dying to sin and rising to new life. We finished our day at the Dead Sea. The brave amongst us floated in the saline water. The rest watched from the bar. We returned to Bethlehem refreshed spiritually and humanly, ready to make our way towards Jerusalem tomorrow. Additional photos from Day 4 are available here.